The history of George Wilden Pieritz is an interesting story because he started his early life in the Jewish faith and later converted to Christianity. George Wilden Pieritz was born in 1809 in Prussia into the Jewish faith. He was a made a Rabbi at the age of 18 years and was a keen student of Hebrew. In 1834, when he was aged 25 years he converted to Christianity. His baptism was sponsored by the King of Prussia and the historian Neander. Once established as a Christian he became a very committed missionary. 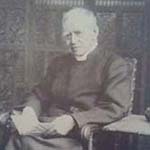 He came to England in 1840, studied at Cambridge and was ordained in 1846. After this he served as a curate in Stanningly for two years. He married his wife Sarah, (born in 1817 in Rochester) in 1846. Following their marriage they went to India where Father Pieritz was a missionary for four years from 1847 to 1851. Their daughter Ann L Pieritz was born in India in 1851. When the family returned to England in 1851 Father Pieritz taught pupils at Cambridge until he was ‘presented to the living of Hardwicke’ in 1865. He came to Cowley St John in 1870 and taught Hebrew. The Parish magazine notes that he gave a talk on Christian mission at the Cowley St John Girls School in the spring 1871. The 1881 census records him living at 33 Iffley Road with his wife Sarah and daughter Ann. During the vacations he would often provide relief cover for vicars in other parishes. In fact he died on July 24 1884 aged 76 years of heart failure whilst away in Pitney in Somerset providing cover for the local vicar. 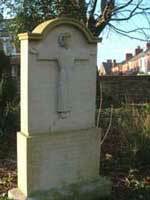 (See obituary Cowley St John Parish Magazine, August 1884). 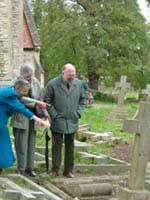 Ann Pieritz, his daughter, was an active member of the community and organised the St Agnes Guild. In January 1885 she was presented with a clock as a token of gratitude for all the organizing she had contributed. In January 1886, when she was seriously ill, she spent some time in St John’s Hospital and died soon after. Rev W T Gidney, The History of the London Society for Promoting Christianity amongst the Jews from 1809 to 1908 (London: London Society for Promoting Christianity amongst the Jews, 1908).